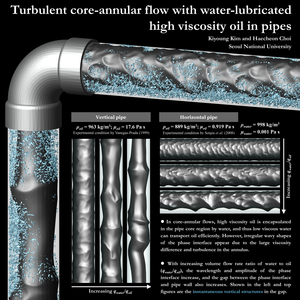 In core-annular flows, high viscosity oil is encapsulated in the pipe core region by water, and thus low viscous water can transport oil efficiently. 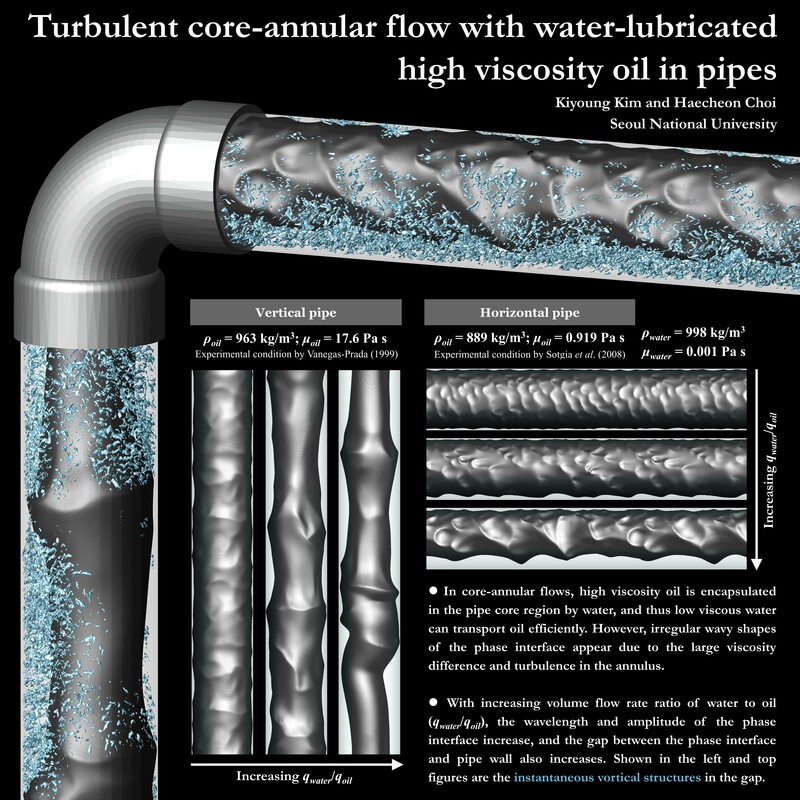 However, irregular wavy shapes of the phase interface appear due to the large viscosity difference and turbulence in the annulus. With increasing volume flow rate ratio of water to oil, the wavelength and amplitude of the phase interface increase, and the gap between the phase interface and pipe wall also increases. Shown in the left and top figures are the instantaneous vortical structures in the gap.